GOLF OUTINGS FOR WORTHY CAUSES!! 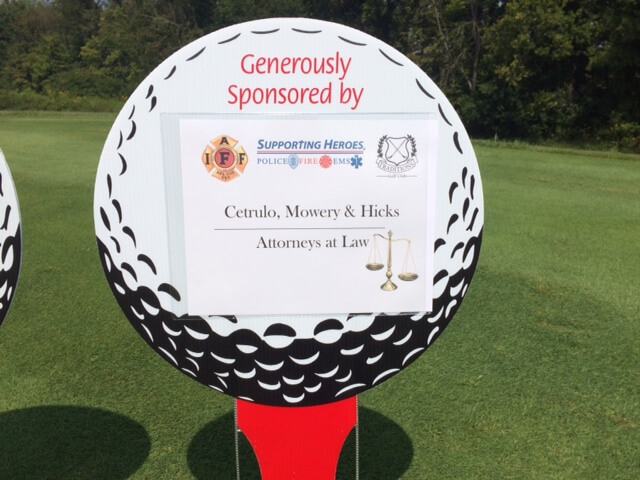 August was a busy month for Cetrulo, Mowery and Hicks, as we supported some of our favorite organizations, with golf outings and sponsorships. Dixie Heights Marching Band had a successful first outing and we were cart sponsors; Larry’s team won the round with help from Steve Miller and son, and our favorite realtor, Pat Gregory! Some played in the Northern Kentucky Chamber of Commerce outing and we were proud to be hole sponsors for our most important heroes, the police, fire and ems, of Northern Kentucky. We are proud to be involved in our wonderful community!! And some really just like to golf!